Hello my fellow Pinkies! Hope you are all have a wonderful week. Another week of looking for pinks! My car has been in the shop all week, ($$$$), so I have been busy working around the house. I changed all the plates in my bedroom, which was fun. Cleaned out some drawers and have started putting some things up on Ebay. I also worked hard on the yard. I will probably do that all weekend because I will not have a car until Monday, maybe. 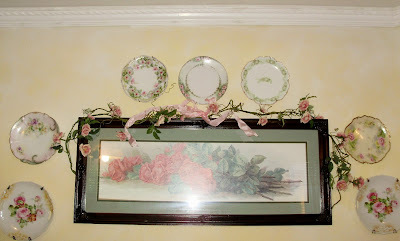 I am also going to try to join the "Show and Tell" at http://romantichome.blogspot.com/. The blog owner is Cindy and she is an amazing woman. She has one of those super blogs and I can see why. Everything she touches turns to gold. I think her stuff is way out of my league, but a woman can dream! What is amazing about her is that she is a single mom. She makes sitting in the back yard look glamorous. Anyway, go visit if you get a chance, you will just drool over her things. I on the other hand, am almost at 300 followers. I don't know how, but thank you. When I reach 300, I will have a give away to celebrate! Thanks to all of you for listening to me babble on. You have changed my life for the good. You inspire, you give advise, you give gifts and most important, you pray, what more could I ask for? I will be forever grateful for your friendships. Happy Pink Saturday Martha! Your post today is full of pretty pink items! Thank you for telling us about "show and tell" I will check it out to. Have a wonderful weekend! Happy pink Saturday, dear Martha and you are loved too! Thank you for showing us some more of your gorgeous plates. Glad that you got some things done around the house and yard and sometimes without a car, helps us to get things done. Oh Martha...Your blog looks so FESTIVE! And patriotic! Gorgeous. All your treasures today are wonderful, too. Martha, I'd like to take a tour of your house. It must be like a museum filled with awesome things. Cindy's was the first blog I ever found in blogland. I was awed and wowed. Still am. She's awesome. I'm so happy you are going to participate! Your plates are so beautiful. I am looking for some to put into my kitchen when I start to redecorate it,maybe next year if we can. You're so precious!!! I love your blog. I think you're way out of my league!! I'm totally thrilled and excited that I have over 50 followers ~ you are what I aspire to!!! 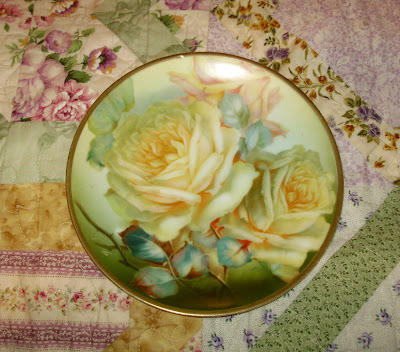 Hi Martha, so pretty plates, love them all. 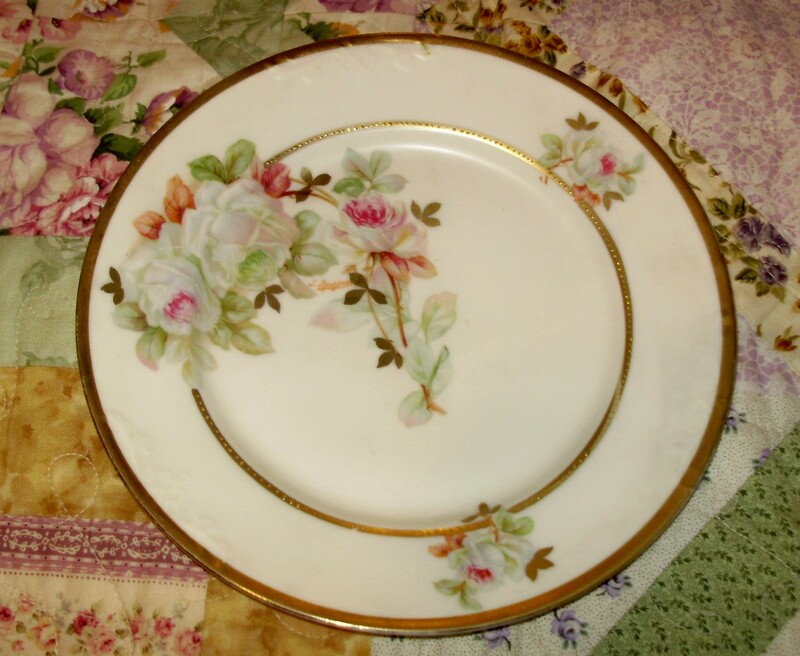 Martha, you have some of the prettiest china. Congrats on all the followers. I have plateau at 91, I think that what hurt me is the fact that i don't always have the time to respond to my comments. I love all the blogging friends, specially the pink ladies. Blessings, Marta. You have a beautiful collection of China; how lucky you are! Wow, you do have a following, keep up the great blog. Thanks so much for sharing. Before I forget, thanks for visiting my blog and leaving such a sweet comment. My Hoku is the sweetest, I've had her for 9 yrs now. Martha, what a beautiful collectionn of plagtes you have! I love all the floral designs. 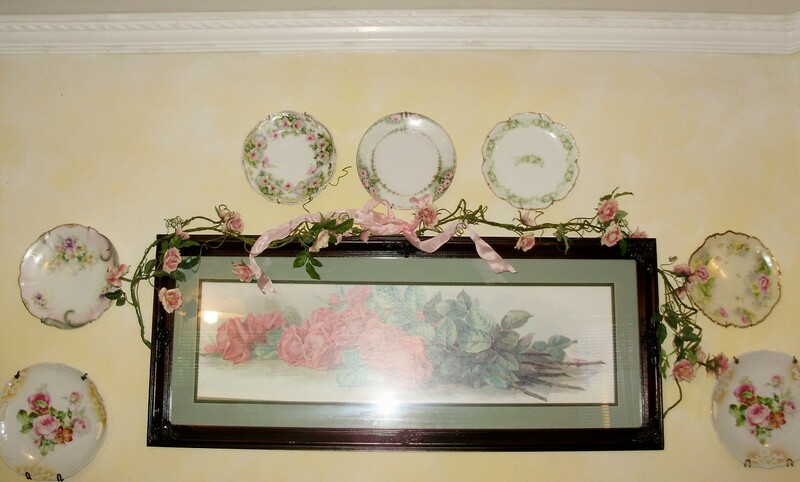 And I am so fond of using my plates as wall art too. So tastefully done! Well, my dear, I am coveting too. With every beautiful blog I read, I find myself drooling and wishing I was talented and creative. I LOVE beautiful things, but I don't have the ability to create those things myself. I can relate to being without a car. We were a single-car family for 8 months (from last July until this past March). And since there's next to nothing within walking distance of my house, I was pretty much homebound. While I LOVE being home, I did begin to feel trapped. Your plates are beautiful. Thank you for sharing. Martha, you have such a nice collection of china! 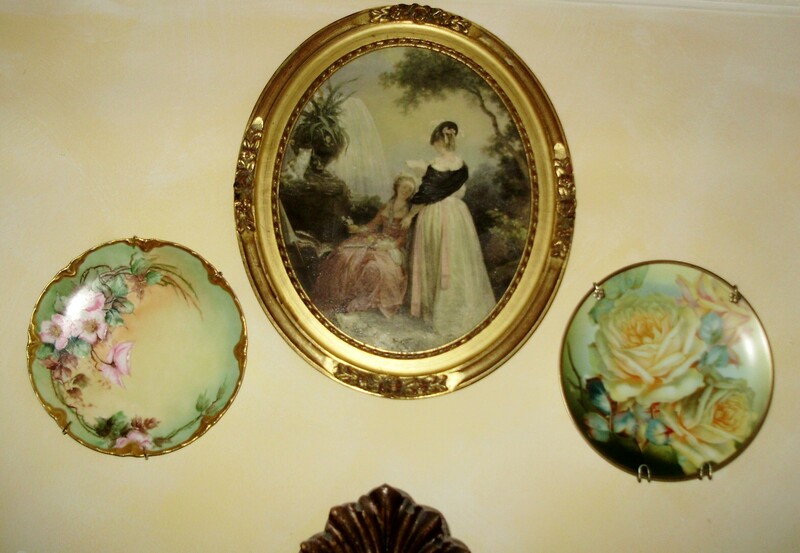 Love the Victorian picture in its oval frame too. Happy Pinks, dear lady! I am swooning over these beautiful plates you have shared with us today!! Just lovely as always!! I hope you are felling better both emotionally and physically. I have big news that i will be sharing next week so stay tuned!!! Martha, I just love those plates! So beautiful! Happy Pink Saturday. p.s. I also meant to say how much I love your patriotic header and background. Thank you so much for co hosting Teacup Tuesday I did my first post this past Tuesday. Glad to have you stop by my blog and thank you for the comment. I love all of these pretty plates. Martha...thank you so much for those kind words! You are so sweet! Your plates are so beautiful and you know I love plates! haha! I hope you get your car back soon and it's not too expensive!!! I thought of you this weekend at the flea market I was at. There was a lady from England selling the most beautiful cups and saucers. I picked up a couple of flawed ones to make cute bird feeders. I'll have them on my site in a few days. So many pretty designs, so little time to look at them all! Love your pictures! I was thinking of you today as I took some of my treasures to a consignment store to sell! Just all your lovely tea cups. I can mever find any!!! Have a great week my sweet friend!